What is Belkyra ®/Kybella ®? 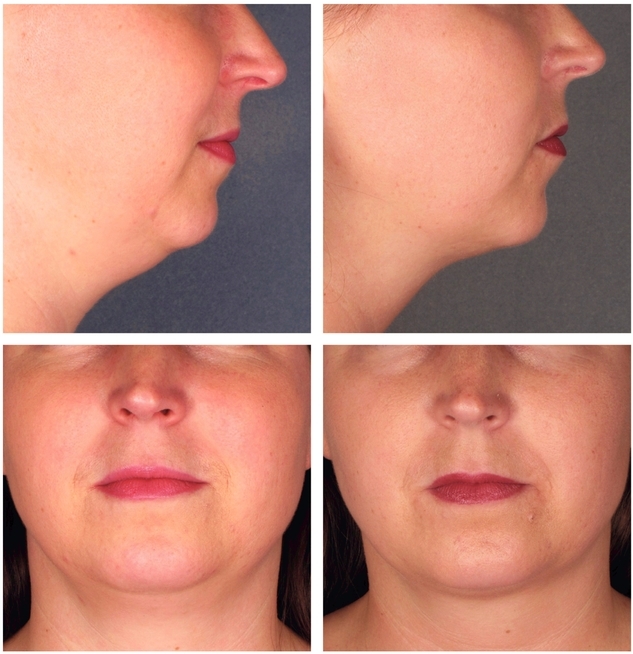 Belkyra ® (Known as KYBELLA ® in the United States) is a new, FDA approved, injectable fat melting treatment that can reduce sub-mental (under the chin) fat, improving double chin significantly without surgery. It can be also used to improve the jawline definition. Belkyra ® is a synthetic form of deoxycholic acid, which occurs naturally in our bodies. When it is injected into areas requiring treatment, it destroys the membranes of local fat cells, allowing the fat inside to be released. The released fat is then naturally eliminated from the body. What are the main uses of Belkyra ®/Kybella ®? Belkyra ® is mainly used for dissolving sub-mental fat and improving the definition of the jawline to produce a more youthful look. Do Belkyra ®/Kybella ® injections hurt? At Bedford Skin Clinic, we aim to keep discomfort to a minimum by using a topical anaesthetic cream and, if required, a local anaesthetic injection prior to the treatment. Who will perform the treatment and how much will it take? DR R Baba will perform the treatment and it will take approximately 10 to 15 minutes. How long does it take Belkyra®/Kybella® to work? Belkyra® takes 2- 4 weeks for the fat cells to dissolve and produce the desired effect. Is BELKYRA ®/ Kybella ® safe? BELKYRA ® or KYBELLA ® is safe in the hands of someone who is experienced in performing cosmetic injections. However, as with any other cosmetic treatment, complications can occur. How long is the downtime with BELKYRA ®/Kybella ®? Downtime is minimal. You can return to work and most daily activities immediately after the treatment. We recommend avoiding strenuous exercise for a few days after the treatment as it can increase bruising and prolong localised swelling. What are the side effects of Belkyra ®/Kybella ®? Side effects of Belkyra® are relatively minor and can be managed easily. The most common side effect of BELKYRA ® is localised swelling in and around the injection site and this can last for a few days after the treatment. Other possible side effects include; bruising, itchiness, redness, and general discomfort. There is a small possibility of numbness or tenderness around the site of the injection, which can last up to two months in some individuals. Who is not suitable for Belkyra ®/Kybella ®?